We publish three journals: The Japanese Journal of Psychology and the Japanese Psychological Research, both of which carry research papers accepted by the JPA Editorial Board, and, most recently, Psychology World, which presents informative articles on psychology-related topics. The Japanese Journal of Psychology was first published in 1926. 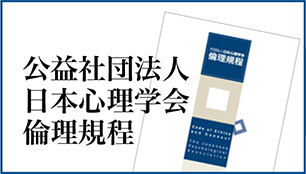 It is issued bimonthly for a total of approximately 600 pages per annual issue and presents "Original Article", "Methodological Advancement", "Research Report" and "Review Article". Subscription orders for non-members: JAPAN PUBLICATIONS TRADING CO., LTD.. (+81-3-3292-3753). 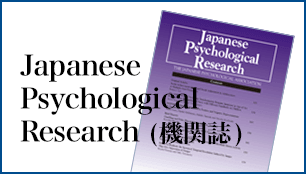 The Japanese Psychological Research was first published in 1954 as the JPA’s English language journal. There are four issues(Jan., Apr., Jul., and Oct.) per year for a single volume of approximately 400 pages presenting "Original Article", "Brief Report", and "Review". Subscriptions: Free for members. Subscription orders for non-members: Wiley. (http://www.wileyonlinelibrary.com/journal/jpr). 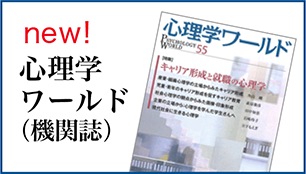 Everyone is entitled to online access to the Japanese Psychological Research through Wiley Online Library for free. We recommend that authors refer to the following when writing a paper for The Japanese Psychological Research. The Japanese Journal of Psychology (JJP) and The Japanese Psychological Research (JPR) are indebted to the following reviewers for their professional review. Psychology World was first published in 1998. Informative articles, special topics, interviews, and introductions to universities and psychological fields of study are presented in four issues per year, each focused on a particular theme. Psychology World is targeted at the general public as well as researchers. 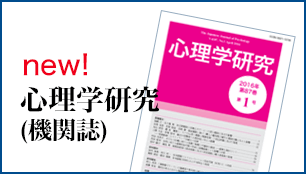 Subscription orders for non-member: SHIN-YO-SHA CO., LTD. (sales@shin-yo-sha.co.jp). Essential reading for psychology researchers, this book showcases the achievements of leaders in Japanese psychology over the past 75 years and offers insights into the future of the JPA and psychological studies in Japan. 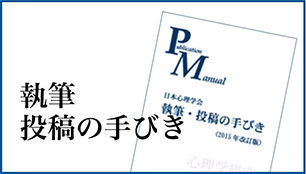 The JPA Publication Manual for submissions to the Japanese Journal of Psychology and the Japanese Psychological Research is a guide to writing research papers in Japan. It is used by other academic associations and as a text in university classes as well.